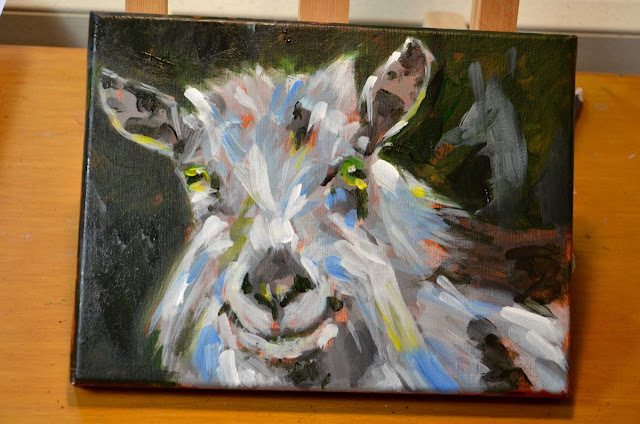 First beginnings of the goat painting I started today. 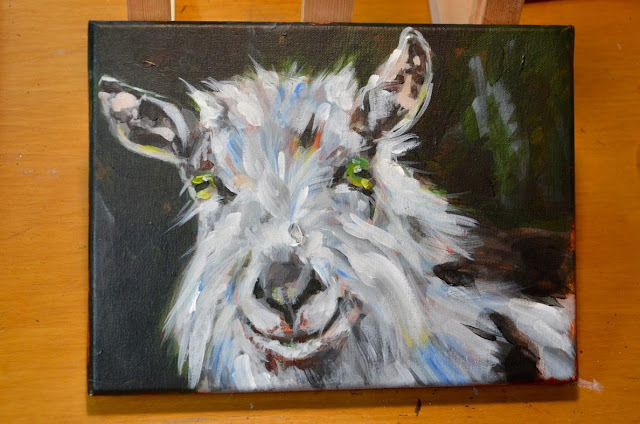 I like the strong touches of color which will probably get softer but they reflect the joyful character of this kid. Still very early stages but I like this phase best; almost sculpting with paint, slowly modeling the shape and character. More later! Done for today, this is looking more like it. I'm having fun and will slowly refine his (her) looks but will keep the impressionistic feel. Lots to be done, but tomorrow is another day.